On November 9 1979 at around 10.30am, Taylor, a Scottish forestry worker employed by the Livingston Development Corporation, parked his truck at the bottom of Dechmont Law and took his red setter for a walk up the hill. 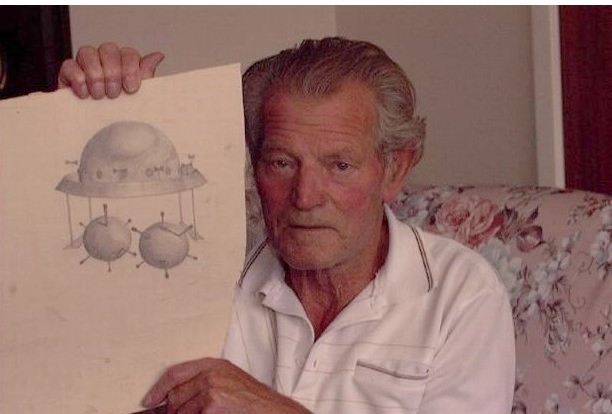 By his account, as he emerged into a clearing he came across a strange metal sphere about 20 ft across "like a spaceship, a huge flying dome". It appeared to be made from a dark metallic material with a rough texture like sandpaper. 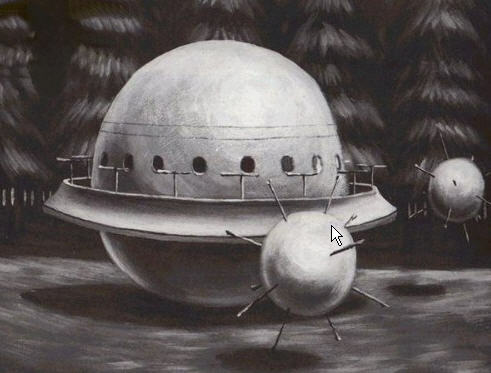 As Taylor approached, two smaller spheres, each about three feet wide, with protruding metal spikes like naval mines, dropped down from the mother craft with a "plopping" sound, rolled towards him and attached themselves to his trousers. There was a hissing sound and an acrid smell that made him choke, and he felt a sensation of being grabbed by the legs and tugged forwards. Artists impression of Taylor's encounter based on sketches that the witness made after the incident . The next thing he knew, he was coming round with his head pounding and a bitter taste in his mouth, unable to walk or talk. His dog was running round in circles, barking furiously. Taylor calculated that he had been unconscious for about 20 minutes. Eventually he managed to crawl back to his truck, but could not get it started so had to walk the mile to his home in Livingston. His wife was shocked by his muddy, dishevelled appearance and rang the police and doctor. The police treated the matter seriously and returned to the site with Taylor. They found ladder-shaped marks in the soil where the spaceship was said to have hovered, and marks following the path of the mine-like objects. The doctor found grazes on Taylor's legs and chin, but no other signs of injury; however the heavy trousers he had been wearing were ripped round the ankles. Despite exhaustive enquiries the police confessed to being "completely baffled". They filed the incident as a criminal assault, and the case remains open. The site of Taylor's encounter became a magnet for UFO enthusiasts around the world, who erected a plaque to mark the spot. In 2004, on the 25th anniversary of his sighting, a group visited the site to meditate in silence. The spaceship failed to materialise. It was generally agreed that Taylor, who moved away from the Livingston area after his disturbing adventure, was not a man given to concocting fanciful stories. He never sought publicity or gained financially from the ensuing media interest - and he continued to stand by every word of his account. Robert Taylor was born in 1918 and died on March 14, 2007 aged 88.